What Are Five Ways to Conserve Water Outdoors? Even though the majority of the planet is comprised of water, only a small amount of that water is suitable for human consumption. Water is an essential part of human existence. Without it, we would cease to exist. Conserving water not only assures us that fresh water will be available for future use, but it also helps you save money. In addition to many ways to reduce water usage inside the home, there are easy and inexpensive means to conserve water outdoors as well. When planning a landscaping project for your home or business, consider the plants selected. Oftentimes, plant choices include varieties foreign to your climate region requiring more water and maintenance in order to thrive. Using native plants reduces the amount of watering because these plants are acclimated to the weather patterns of your area. Include thick layers of mulch in flower beds and around shrubs and trees. The mulch helps the soil stay moist and prevents rapid evaporation. Remember in your landscaping plans that more turf equals more watering. Consider creating rock or gravel gardens that need no water to remain beautiful and eye-catching. Set automatic sprinklers to water in the early morning or late night hours. The temperatures are often cooler during these hours, and less water is lost due to evaporation or wind. If you do not own a sprinkler system, choose sprinkler heads that are low to the ground and form thick, heavy drops as opposed to a fine, high spray. Water in smaller time increments, more frequently, to prevent run-off and allow the ground to soak up the water. Invest in soaker hoses for flower, tree, and shrub beds. The water is delivered directly to the ground and root systems insuring less water run-off. Collecting and using rain water allows you to water without pulling from ground water sources, and it's free. Position decorative pots or pails below rain spouts and roof eaves. Use this collected rain to water indoor potted plants and containers around the house. Check hoses and sprinklers for cracks, clogs, or leaks. Replace defective equipment. 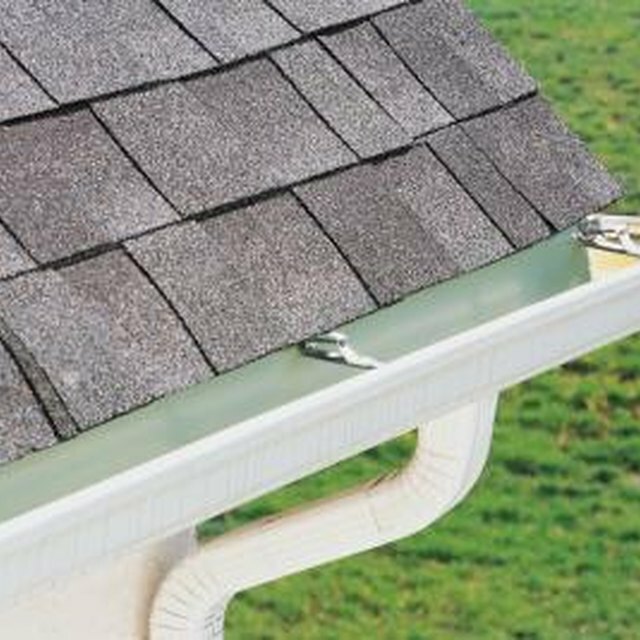 Reposition rain gutter spouts to empty into rain collecting receptacles or toward shrubs, trees, or flower beds. Cover pools and spas when not in use to reduce evaporation. If you wash your car at home, try washing it on your lawn. The run-off from the wash will double as a lawn watering. Purchase hose nozzles and turn them to the off position when not in use. Not into home washing? Most commercial car washes recycle the water they use, and car washes actually use less water in their cycles than you would at home. Feletia Lee is a writer in Fort Worth, Texas. She received a Bachelor of Arts degree in creative writing from the University of North Texas in 2008. While at university, she also studied history and anthropology. Currently, Lee is writing for Demand Studios and Examiner.com.